Every time you visit a Pierce County Library can be your Lucky Day! Look for the special Lucky Day area to find best-sellers waiting for you. Each book will have a Lucky Day sticker that looks like the image to the left. Choose your favorites and take them with you. Lucky Day books are the most popular books - the books with the highest number of holds. 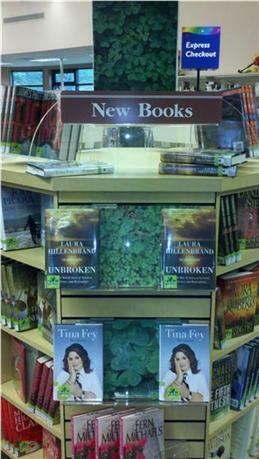 The library chooses these hot titles, and makes them available to you when you come into the library. 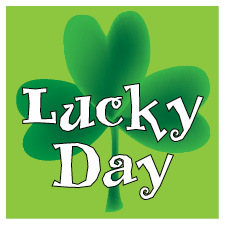 Find Lucky Day books in your library. They are available on a first come first served basis. No holds can be placed on them. Choose from adult fiction, adult nonfiction, young adult and children's titles. Recognize them by the green Lucky Day sticker. Check them out and take them with you to read and enjoy. Have them for three weeks. They cannot be renewed. View them in the library catalog, Their shelf location displays as Lucky Day.